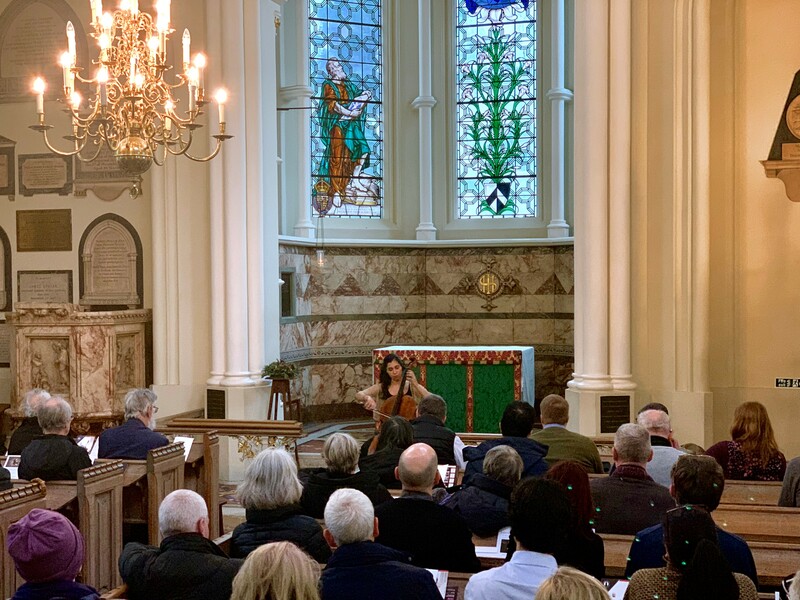 On Wednesday 16th January 2019, cellist Ariana Kashefi (2018 CMF Artist) presented a spell-binding solo recital at St Bart’s the Less. The Cello Suites of Johann Sebastian Bach hold a special place in the Western classical canon. They have an almost unrivaled ability to transcend our worldly experience and to capture the hearts and minds of audiences. Ariana Kashefi opened her lunchtime recital with the Prelude from Bach’s Cello Suite No. 1 in G major before playing the challenging Cello Suite No. 6 in D major in full. Her programme also included works by Paul Hindemith (1895-1963) and Pablo Casals (1876-1973), the cellist whose ardent advocacy of the Bach Suites gave what were little-known works a world-wide appeal. For full details, please download the programme below.